Announcement Welcome to my shop! 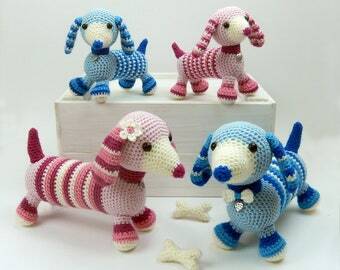 Here you'll find my collection of original and fun AMIGURUMI CROCHET PATTERNS. I hope you like what you find :-) Check out my blog or Instagram to see what I've been up to and to get sneak previews of future patterns! Welcome to my shop! Here you'll find my collection of original and fun AMIGURUMI CROCHET PATTERNS. I hope you like what you find :-) Check out my blog or Instagram to see what I've been up to and to get sneak previews of future patterns! 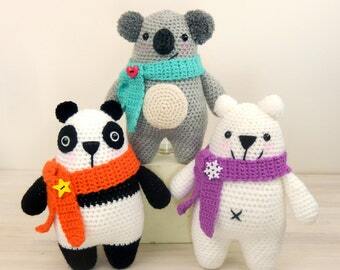 Any 3 Amigurumi/Crochet Patterns of your choice. Any 5 Amigurumi/Crochet Patterns of your choice. 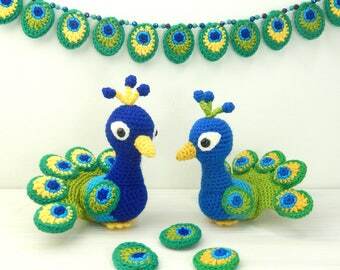 Any 10 Amigurumi/Crochet Patterns of your choice. This pattern is very easy to follow. I enjoy all her patterns. Great pattern. Very well written and easy to follow. I'm already working on my 2nd bag. They are just too cute. Thank you! Amigurumi patterns designed with love. Having spent many years earning my living designing printed textiles I found myself feeling restless and in need of some new challenges and so started casting around for a change of career. A family which was growing up fast meant more time on my hands and gave me the opportunity to experiment with other forms of textiles such as knitting, felting, spinning, and - last to add to my list of newly acquired skills, crochet. Finding a deeper satisfaction in making things by hand instead of painting patterns for mass production I decided that it was time to drop the security of my previous job and start a new adventure. So, named after my rescue cat Mojo, my shop was born. I opened Moji-Moji Design in October 2011 but have to admit it took me a whole year and a month to pluck up enough courage to list my first pattern! I'm so glad I finally jumped in and did it. I enjoy designing and making amigurumis so much I can't wait to get up in the morning and start a new day filled with yarn and hooks and all my funny crocheted creatures. Thanks for stopping by. I hope you have as much fun making your own amigurumis from my patterns as I had designing them! I'm an amigurumi enthusiast with a professional background in printed textile design. As well as creating amigurumi patterns I also love to weave, knit, felt and spin, but if I had to choose between them? Making amigurumis would win hands down! Welcome to Moji-Moji design. I hope you enjoy browsing my patterns. All my designs are unique and made with love and devotion! Sorry, but due to the nature of instant download patterns, there can be no returns, refunds or exchanges once the pattern has been purchased. Payment is via PayPal, which also accepts credit and debit cards without the need to open a paypal account. You may also choose to allow PayPal to securely remember your details to make future purchases more convenient. Patterns are available individually for immediate download. Multiple pattern deals or French translations (where available) are sent out within 24 hours of payment clearing. If you don’t receive them then please check your spam/junk mail folder. If you still can’t find your pattern/s please contact me to confirm your email address. Please state which patterns you would like in the note to seller section. This pattern is an original design and all content, including the inherent design and all images are the copyright and design right of Moji-Moji Design (Janine Holmes). Reproducing, distributing, or selling this pattern, either in the original or any modified format, via any media, whether digital or physical, is strictly prohibited. If you choose to sell them offline at craft fairs, bazaars etc. I would also appreciate it if you gave me credit as the original designer. Wholesale manufacturing of articles from any of my patterns is not permitted. I am dedicated to the art, craft and passion of the individually handmade!